James Keith Martin obituary. Carnes Funeral Home. Mar 10, 2016 We will miss you Jim "Peepaw". Thank you for welcoming us when we moved in next door. We will never forget your kindness and friendship. Santa Fe - James Keith Martin passed away Sunday, March 6, 2016 at home surrounded by family and friends. Jim was born October 19, 1937 to Samuel Henderson Martin and Virginia Burton Martin in East Chicago, Indiana. He graduated from Texas City High School in 1956. Jim attended Stephen F. Austin University before enlisting into the U.S. Army. After the Army, Jim started working at Union Carbide Chemical Co. from 1961 until he retired in 2000. 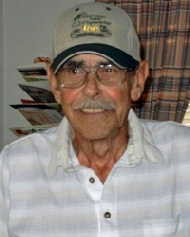 Jim was a lifelong member of First Baptist Church in Texas City. After Jim retired he was a “Honey Do” member for the church. He loved going up to the church on Thursday mornings to help fix things and visit with everyone. Jim also loved to play golf, bowl and was involved in the T.C. Little League Program for many years. Jim is preceded in death by son, Jimmy Loren Martin; brother, Frank Robert ‘Bob’ Martin, and parents, Sam and Virginia Martin. He leaves behind his loving wife of fifty-five years, Karen Martin; daughter, Terri Lynn Westmoreland; son, Sam Martin and Kim; grandchildren, Lauren and Jon Horton, Christopher Springer and Meagan Wilkinson, Amber and Jordan Rumora, Sam Martin II and Heather Winn, Mikey Westmoreland and Kaitlyn Westmoreland; great- grandchildren, Hallie Horton, Scarlett Rumora and Easton Springer; brothers, Samuel H. (Pep) Martin III and Elaine, Tom Martin and Sherry, Dennis Martin and Sherry; sister, Rebecca (Becky) Martin Calloway and Bill; sister in law, Zenobia (Nobie) Sullivan Martin and numerous nieces and nephews. Pallbearers will be nephews; Jon Paul Martin, Mike Martin, Steve Stayer, Tim Martin, Kevin Martin and Jason Robinson. Honorary Pallbearers will be Roger Stanfield, Johnny Garton, Jack Cooper, Curtis Buchanan, Ray Summers, James Barger and special buddy, Parker Johns. Jim’s Celebration of Life Visitation will be held at First Baptist Church of Texas City, 3210 Gulf Freeway, on Thursday, March 10, 2016 at 1:00 p.m. with Services to follow at 2:00 p.m. with Dr. Robert Miller and Dr. Grayson Glass officiating services. Interment to follow at Galveston Memorial Park in Hitchcock, TX. In lieu of flowers, memorial contributions may be sent to the American Cancer Society, the Good Shepherd Hospice or the Cystic Fibrosis Foundation.